Morthem Vlade Art, Tempers, The Daughters of Bristol, The Sisters of Mercy, La Calle Morgue and more. This show was 22nd in the global industrial chart and 25th in the global post-punk chart. 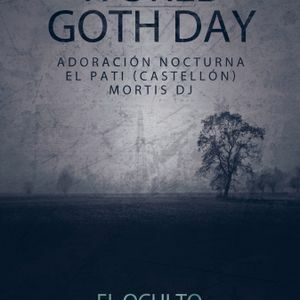 Adelanto de los temas que pueden sonar en la Fiesta World Goth Day 2015 en El Oculto Club (Valencia) // Preview of the songs you&apos;ll able to listen @ World Goth Day 2015 Party (El Oculto Club. Valencia - Spain). Buena selección! y además empezar con Mothem Vlade Art, eso me ha encantado, mucho tiempo sin escucharlos!